“Jazz isn’t dead, it just smells funny”, was one of the many inimitable one-liners from rock music’s very own Groucho Marx, Frank Zappa. I probably shouldn’t be writing this, as it’s “like dancing about architecture” apparently. Frank’s caustic description of jazz music is given a good kicking and more than a few twists and turns, and chucked right back at him by this Norwegian trio on their new album Smells Funny, who make a true fusion out of the no limits approach of jazz, and the nailed to the floor excitement of hard rock in a manner that few bands have attempted, or at least as successfully as this. 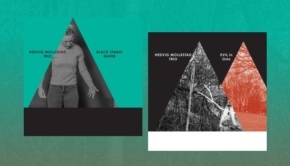 I am put in mind of a number of jazz-rock trios on the very fine MoonJune label, for they seem to be Hedvig Mollestad Trio’s natural bedfellows. However, as far as I know, Hedvig Mollestad Trio are the only example from Northern Europe, and the only one where the girls outnumber the boys. Whether that geographical quirk makes any palpable difference is hard to judge, I suppose you could say with some justification that Hedvig Mollestad Trio are more direct, on the one, than some of their contemporaries of Spanish, Indonesian, or Brazilian origin. As for the hormonal difference, I really wouldn’t know if the female’s approach to that potent symbol of the boy rampant, the electric guitar, is any different to the male’s, other than I doubt it would be as low slung, à la Jimmy Page. Possibly. Smells Funny goes from 0 to 60 in about two seconds, and doesn’t let up until it finishes, a mere 36 breathless minutes later. Beastie Beastie lures the listener in with a charging rock riff and anguished howls of six-string frenzy that smells not funny, but of leather and patchouli, before the rest of the track and of the album that follows it flings itself into a close solar orbit of free-jazz inclinations and tremendous flights of heated guitar fancy that will, unless you have an absence of soul, have you grinning like a loon, and leaping around the room like dervish. The latter maybe metaphorically, but yer know worramean? First Thing To Pop Is The Eye if you leave the airlock having forgotten to suit up. 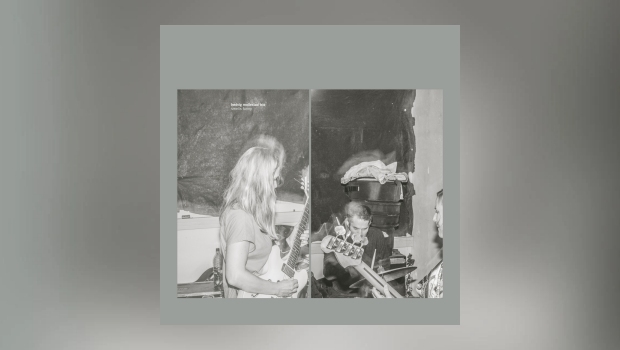 The pressure is ramped up with a “Bob Fripp does heavy rock” riff that then sets itself free for an interstellar trip past stars going nova, all the while being underpinned by some dexterous Gordian Knot rhythm work from drummer Ivar Loe Bjørnstad and bassist Ellen Brekken. Both solo within the song, and following their parts is a joy. These two are a veritable powerhouse throughout, as they have to be to keep the mighty Hedvig Mollestad Thomassen from destroying the mothership. She will dismantle any preconceptions you may have that the electric guitar is or should be fuelled by testosterone, as this is the most powerful guitar playing you will hear this or any other year. Guitarist Hedvig Mollestad Thomassen formed the band ten years ago with the line up they still have today. With consistency like that it is unsurprising that they seem to play with an instinctive intuition. Smells Funny is their fifth studio album, and they keep on getting better. You won’t find three people making a more all-encompassing planet-bestriding joyous racket anywhere on the globe, just dig the splendid fret work and rhythmic interplay on Sugar Rush Mountain, to quote but one of many examples herein. Ellen gets a brief sting up front during the endorphin surge of Bewitched, Dwarfed And Defeathered, a song that morphs seamlessly from a beast of a nailed funk riff into gloriously free expression and back again before the satiated sigh. The album ends with the eight minutes of liberating free-rock that is Lucidness, where it does indeed all become clear. This is the sort of thing that Guru Guru practised back in their prime, free of the constraints of American/Anglo influence. It is quite glorious, an ur-rock triumph no less. Hedvig Mollestad Trio are the yin to All Them Witches yang, they are both free spirits in a controlling world. Funnily enough one of Hedvig Mollestad Trio’s albums is called All Of Them Witches – is there something we should know? Whatever, you need Smells Funny in your life, and you need to treat it like it deserves by playing it as loud as you can. Go on, you know you want to! PS – if any of the band are reading this, please come and visit our benighted rock off the coast of France. We don’t bite… well, not all of us.